“We listen to it daily. At noon we listen to it. We listen to it before going to sleep. Then we pray. Then we sleep.”—a Kanwasa villager speaking about the solar MegaVoice audio Bible. Gifts to last year’s Wycliffe gift catalog helped provide audio Bible players for people in Papua New Guinea, bringing the Scriptures in their language to life. 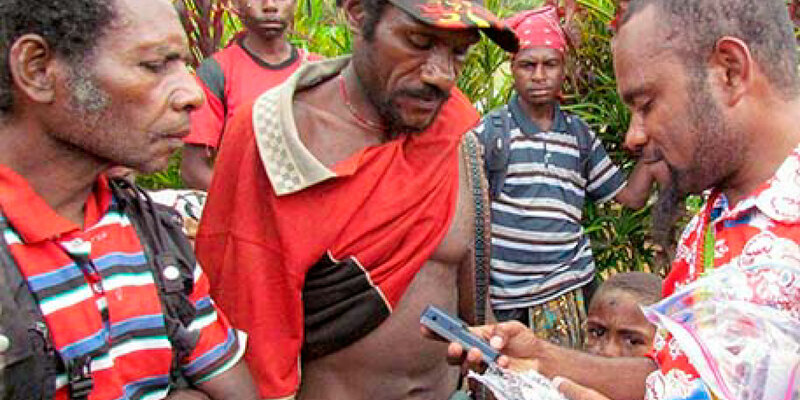 In many language groups living in Papua New Guinea, information of value is shared orally, and literacy is growing slowly. In the highlands, thirty-nine New Testaments have been published in the local languages but are not accessible to the people. Now six of these New Testaments have been recorded and placed on flash drives as well as small solar-powered audio Bible players. Translated Scripture in numerous other languages has been checked, and recordings have been made of as much as half of the New Testament. One Kamano speaker in Papua New Guinea reported how much his children love listening to Bible verses with the audio Bible player. Public school principals in that language group are asking for these solar Bibles to give to their teachers to play for class language study and devotion times. Local pastors are also using the units during their sermons instead of reading from the trade language and translating orally. Many families listen to the players during their evening meal, and keep listening to God’s Word until the batteries go dead for or five hours later. Children are asking if they can “recharge the batteries by putting the players close to the fire” so they can finish listening to one of the Bible stories. Providing these players makes translated Scripture accessible to thousands of people in the highlands of Papua New Guinea. Translation has bridged the language barrier, and Scripture in this format is bringing God’s Word to the ears and hearts of the people. Note: We are thankful for ministry partners like Wycliffe for their amazing work among unreached people groups (UPGs). Because of Wycliffe’s Bible translation work, countless millions are encountering Jesus Christ for the first time.